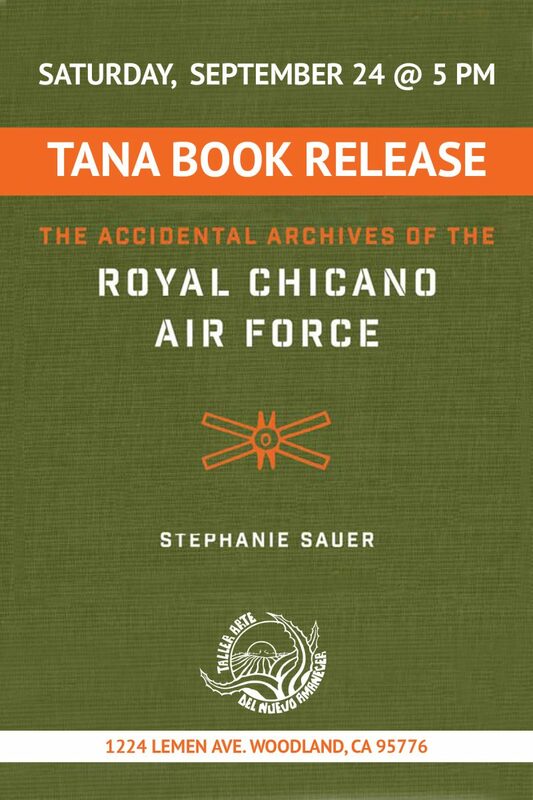 Join TANA to celebrate the special release of Stephanie Sauer’s The Accidental Archives of the Royal Chicano Air Force, published by University of Texas Press. A blend of art history, oral history, cultural studies, and anthropology, Sauer’s Accidental Archives “suspends historical realities and leaps through epochs and between conversations with various historical figures, both dead and alive, to offer readers an intimate experience of RCAF history.” Don’t miss the opportunity to meet this talented writer and artist, and purchase her book! Check out UT Press for more info.